The family is hanged on nooses. "Treehouse of Horror VI" is the sixth episode of The Simpsons' seventh season and the sixth episode in the Treehouse of Horror series. It first aired on the Fox network in the United States on October 29, 1995, and contains three self-contained segments. In "Attack of the 50 Foot Eyesores", an ionic storm brings Springfield's oversized advertisements and billboards to life and they begin attacking the town. The second segment, "Nightmare on Evergreen Terrace", is a parody of the A Nightmare on Elm Street film series, in which Groundskeeper Willie (resembling Freddy Krueger) attacks schoolchildren in their sleep. In the third and final segment, "Homer3", Homer finds himself trapped in a three dimensional world. It was inspired by The Twilight Zone episode "Little Girl Lost". The segments were written by John Swartzwelder, Steve Tompkins, and David S. Cohen respectively. An edited version of Homer3 would appear alongside several other shorts in the 2000 American 3-D animated anthology film, CyberWorld shown in IMAX and IMAX 3D. In its original broadcast, the episode was watched by 22.9 million viewers, acquired a Nielsen rating of 12.9, finishing 21st in the weekly ratings, and was the highest-rated show on the Fox network the week it aired. In 1996, the "Homer3" segment was awarded the Ottawa International Animation Festival grand prize and the episode was nominated for the Primetime Emmy Award for Outstanding Animated Program (for Programming Less Than One Hour). Homer goes to Lard Lad Donuts to get a "colossal doughnut". Upon realizing that the colossal doughnut is the name of the doughnut that Lard Lad holds and actual doughnuts that size do not exist, he denounces the store and vows to get a colossal doughnut. That night, he steals the giant doughnut from the Lard Lad statue in front of the store. In the midst of a freak storm, Lard Lad and other giant advertising statues come to life to terrorize Springfield. Homer eventually returns the doughnut to Lard Lad, but that does not stop Lard Lad and his friends from causing destruction. Lisa goes to the ad agency that created those advertising characters, and an executive suggests the citizens stop paying attention to the monsters as they are advertising gimmicks, and attention is what keeps them motivated. He suggests a jingle will help distract people from watching the monsters. Lisa and Paul Anka later perform a catchy song and the citizens of Springfield stop looking at the monsters, who lose their powers and become lifeless. Bart has a nightmare that Groundskeeper Willie is out to kill him. He is slashed with a rake, and the scratches are still on his body after he wakes up. Many other students at Springfield Elementary School also say they were terrorized by Willie in their nightmares. When the students take a test, Martin falls asleep and is strangled to death by Willie in his dream, before waking up and dying in the real world. Bart and Lisa tell Marge about the incident and she explains Willie burned to death while the parents of the students looked on and did nothing. Bart, Lisa, and Maggie try not to fall asleep for several days, but eventually, Bart decides that he is going to have to go to sleep and fight Willie in his dream. Bart falls asleep and attempts to find Willie, who appears as a lawn mower. Bart manages to trick Willie into mowing a sandbox containing quicksand, and Willie sinks. Willie recovers and turns into a giant bagpipe spider and is about to kill Bart as well as Lisa, who has entered the dream after also falling asleep. Suddenly, Maggie appears and uses her pacifier to seal the vent on Willie's spider body, resulting in Willie exploding. The Simpsons children awaken and despite being pleased to be alive, Lisa fears that Willie might still be around. As it turns out, a very much alive and well Willie exits a bus and tries to scare the children, but ends up chasing the bus with one shoe when he realizes that he left his shotgun on board. Patty and Selma visit the Simpsons, driving Bart, Lisa, and even the pets to evade them and consequently leave almost no place for Homer to hide. Desperate to avoid his wife's sisters, he looks behind a bookcase and enters a mysterious new world in which everything is in 3D. Homer explores the peculiar area, and finds that he is trapped within. He seeks help from Marge and others, but their attempts to rescue him are fruitless. Homer throws a cone into the floor and accidentally pierces the fabric of the space-time continuum, causing it to collapse into a wormhole threatening to pull Homer and the rest of the dimension into a black hole. Bart takes command and enters the third dimension to save Homer. Bart is unable to help, however, and the universe collapses on itself. Bart is pulled back into the house but Homer gets banished to our world, lands in a dumpster in a live-action Sherman Oaks, and begins to explore his surroundings. Paul Anka guest stars as himself. He had previously written a letter of thanks when he was referenced in another episode. "Treehouse of Horror VI" was the first of two Treehouse of Horror episodes to be executive produced by Bill Oakley and Josh Weinstein. The episode was "so long" because, according to Oakley, "all three of these segments are very complex stories [...] and it's hard to fit three complete stories into 21 minutes". Because of the length, the episode featured a very short opening sequence and did not include several trademarks established in previous Treehouse of Horror episodes, such as Marge's warning or wraparounds. The first segment, "Attack of the 50-Foot Eyesores", was written by John Swartzwelder, who had previously worked at an advertising agency. "Nightmare on Evergreen Terrace" was written by Steve Tompkins and has been described by David X. Cohen as "one of the scariest [segments]". "Homer3" was written by Cohen, although the idea was pitched by Oakley. The original idea was that Homer would visit several dimensions, including one where everything was made out of paper cut-outs, but they decided that it would be too complicated. 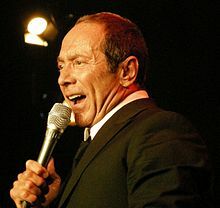 The episode includes a cameo appearance from Paul Anka, who sings the song "Just Don't Look". Anka was briefly mentioned by Marge in "Grampa vs. Sexual Inadequacy". In response, he sent a letter to the producers in which he thanked them for the mention. After receiving the letter, they decided to ask him to guest star. According to David Mirkin, he tried to get Al Gore to host the episode, but the producers got no response to their request. "There was an eerie silence", Mirkin said. He added that "if the VP decides now to pursue this showbiz offer, it's just too late [...] He missed his chance." In the final scene of the episode, Homer is sent to the real world in the first ever live-action scene in The Simpsons. It was filmed on Ventura Boulevard in Studio City and directed by David Mirkin, who later said that Fox "couldn't have been less supportive" because they thought it would be too expensive. The scene involves a crane shot which pulls back as the credits are shown. Fox "begrudgingly" allowed Mirkin to use a crane for the ending. The scene was filmed on a sidewalk with the crane on the street and Mirkin was not able to fully stop traffic for the shot. Because of this, when the camera swings around, a line of cars can be seen backed up on the street. Mirkin was also disappointed in the quality of the camera pan, again blaming the lack of support from Fox and the inability to halt the traffic. A large portion of "Homer3" was three dimensional and computer animated. Supervising director David Silverman was aiming for something better than the computer animation used in the music video for "Money for Nothing" by Dire Straits. The animation was provided by Pacific Data Images (PDI) and overseen by Tim Johnson. The animators at PDI worked closely with the normal animators on The Simpsons and worked hard not to "reinvent the character[s]". The animators storyboarded the segments and showed the PDI animators how they would have handled the scenes. While designing the 3D model of Bart, the animators did not know how they would show Bart's hair. However, they realized that there were vinyl Bart dolls in production and purchased one to use as a model. One of the most difficult parts for the PDI animators was to make Homer and Bart move properly without making them look robotic. One of the key shots in the segment was where Homer steps into the 3D world and his design transitions into 3D. Executive producer Bill Oakley considers the shot to be the "money shot" and had a difficult time communicating his idea to the animators. Several background jokes were inserted into "Homer3". The PDI animators inserted a Utah teapot, which was the first object to be rendered in 3D, and the numbers 734 (which on a phone pad correspond to PDI). Several math equations were also inserted in the background. One of the equations that appears is 178212 + 184112=192212. Although a false statement, it appears to be true when evaluated on a typical calculator with 10 digits of precision. If it were true, it would disprove Fermat's last theorem, which had just been proven when this episode first aired. Cohen generated this "Fermat near-miss" with a computer program. Other equations that appear are Euler's identity and P = NP which is a reference to the famous P vs NP problem, and similarly contradicts the general belief that in fact P ≠ NP. The code 46 72 69 6E 6B 20 72 75 6C 65 73 21 is a string of hexadecimal numbers that, when interpreted as ASCII codes, decodes to "Frink rules!". There is a signpost with x, y, and z, and many basic shapes littered across the screen. The title of "Attack of the 50-Foot Eyesores" is a reference to the film Attack of the 50 Foot Woman. "Nightmare on Evergreen Terrace" is a parody of the film A Nightmare on Elm Street and its sequels, and Bart's dream at the opening of the segment features many elements similar to the cartoons of Tex Avery. The segment "Homer3" is a parody of The Twilight Zone episode "Little Girl Lost", in which a girl travels through a portal to the 4th dimension. The film Tron is also mentioned by Homer as a means of describing his surroundings. The three-dimensional rotation shot of the dimensional vortex is a reference to the green glowing grid in the opening credits of the Disney film The Black Hole. In "Homer3", as he is about to fall in the black hole, Homer says, "There's so much I don't know about astrophysics. I wish I'd read that book by that wheelchair guy." This is a reference to the bestseller A Brief History of Time by theoretical physicist Stephen Hawking, who was quadraplegic. In "Attack of the 50 Foot Eyesores", some of the mascots are parodies of real life mascots. For example, the giant walking unnamed peanut is a parody of Mr. Peanut. Willie's bagpipe spider form is a reference to the fictional creature of the same name mentioned in an episode of The Goodies. In its original broadcast, "Treehouse of Horror VI" finished 21st in the ratings for the week of October 23 to October 29, 1995, with a Nielsen rating of 12.9. It was watched in approximately 12.4 million households. The episode was the highest-rated show on the Fox network that week. The authors of the book I Can't Believe It's a Bigger and Better Updated Unofficial Simpsons Guide, Warren Martyn and Adrian Wood, described it as "Complex, very assured and very clever, [...] The computer graphics are outstanding, and the final scene – as Homer enters our dimension – is one of the highlights of the entire series." Colin Jacobson of DVD Movie Guide said, "'Attack of the 50-Ft. Eyesores' stands as the strongest of the three segments. It doesn’t blast off the screen but it seems imaginative and fun. The Nightmare on Elm Street parody has its moments and comes across as generally entertaining. However, it lacks the bite the best pieces offer. Unfortunately, 'Homer3' gives us the weakest of the bunch. It tosses out a few funny bits, but it mostly feels like an excuse to feature some 3-D animation." Ryan Budke of TV Squad listed "Homer3" as the fourth best Treehouse of Horror segment and gave honorable mention to "Nightmare on Evergreen Terrace". Will Pfeifer of the Rockford Register Star called the episode "the best of the annual Halloween episodes". In the July 26, 2007 issue of Nature, the scientific journal's editorial staff listed the "Homer3" segment among "The Top Ten science moments in The Simpsons", highlighting Cohen's "178212 + 184112=192212" equation. In 1996, the "Homer3" segment was awarded the Ottawa International Animation Festival grand prize. The episode was also submitted for the Primetime Emmy Award in the "Outstanding Animated Program (For Programming less than One Hour)" category because it had a 3D animation sequence, which the staff felt would have given it the edge. The episode would eventually lose to Pinky and the Brain. Bill Oakley later expressed regret about not submitting "Mother Simpson," an episode with a more emotionally driven plot. ^ "Treehouse of Horror VI". The Simpsons.com. Archived from the original on 2001-12-10. Retrieved 2009-02-24. ^ a b c d e f Martyn, Warren; Wood, Adrian (2000). "Treehouse of Horror VI". BBC. Retrieved 2008-06-24. ^ USA Today (November 1, 1995). "Nielsen ratings". USA Today. p. D3. ^ a b c Oakley, Bill (2005). Commentary for "Treehouse of Horror VI", in The Simpsons: The Complete Seventh Season [DVD]. 20th Century Fox. ^ Weinstein, Josh (2005). Commentary for "Treehouse of Horror VI", in The Simpsons: The Complete Seventh Season [DVD]. 20th Century Fox. ^ a b c d Cohen, David X. (2005). Commentary for "Treehouse of Horror VI", in The Simpsons: The Complete Seventh Season [DVD]. 20th Century Fox. ^ a b c d e Oakley, Bill; Weinstein, Josh; Johnson, Tim; Silverman, David; Mirkin, David; Cohen, David X. "Homer in the Third Dimension" (2005), in The Simpsons: The Complete Seventh Season [DVD]. 20th Century Fox. ^ Silverman, David (2005). Commentary for "Treehouse of Horror VI", in The Simpsons: The Complete Seventh Season [DVD]. 20th Century Fox. ^ Greenwald, Sarah (2005-04-06). "A Futurama Math Conversation with David X. Cohen". Appalachian State University. Archived from the original on 2008-05-09. Retrieved 2009-01-07. ^ "Homer Simpson's scary maths problems". BBC News. Retrieved October 31, 2013. ^ a b c d Groening, Matt (1997). Richmond, Ray; Coffman, Antonia, eds. The Simpsons: A Complete Guide to Our Favorite Family (1st ed.). New York: HarperPerennial. pp. 186–187. ISBN 978-0-06-095252-5. LCCN 98141857. OCLC 37796735. OL 433519M. .
^ Associated Press (1995-11-02). "Sports events five of top 10 shows". South Florida Sun-Sentinel. ^ Associated Press (1995-11-02). "Nielsen Ratings". The Tampa Tribune. ^ Jacobson, Colin (2003). "The Simpsons: Treehouse of Horror (1994)". DVD Movie Guide. Retrieved 2008-10-08. ^ Budke, Ryan J. (2005-10-26). "The Five: Best Simpsons Treehouse of Horror Segments". TV Squad. Retrieved 2009-02-24. ^ Pfeifer, Will (2000-01-16). "Here's a look at five classic episodes". Rockford Register Star. ^ Hopkin, Michael (2007-07-26). "Science in comedy: Mmm... pi". Nature. 448 (7152): 404–405. Bibcode:2007Natur.448..404H. doi:10.1038/448404a. PMID 17653163. Retrieved 2011-11-05. ^ "Past Award Winners". Ottawa International Animation Festival. Archived from the original on 2008-12-02. Retrieved 2007-10-18. ^ "Primetime Emmy Awards Advanced Search". Emmys.org. Archived from the original on 2009-02-15. Retrieved 2007-11-09. Wikiquote has quotations related to: "Treehouse of Horror VI"
"Treehouse of Horror VI episode capsule". The Simpsons Archive. This page was last edited on 16 April 2019, at 13:31 (UTC).